Abies gracilis Kom. (Pinaceae) is one of the rarest and endangered conifers in the Russian flora, which must be cultivated ex situ to ensure its survival. Cuttings of A. gracilis do not take root without biostimulants. 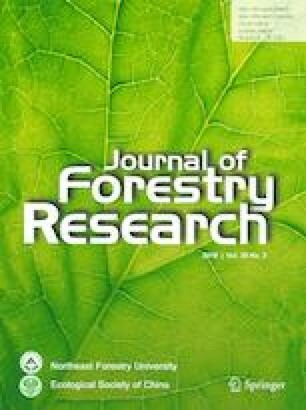 We used a selection of biostimulants, concentrations, and conditions of their use to significantly increase Abies gracilis rooting, and to accelerate the production of planting material, and to reduce rooting time to one season. We tested 4 rooting systems: IBA, IBA with glucose and glycine, and original biostimulants (S-try and S-5). The original S-5 biostimulating system had the most balanced ratio of components. The number of rooted samples increased 2.7 times and the length of roots increased 1.8 time when using S-5 as compared to IBA. S-try and S-5—original biostimulant systems were synthesized and collected in 2011 and 2014, respectively, and were tested in St. Petersburg Forest Technical University. Project funding: This work was supported, in part, by the Department of Science and Innovation of the Yamalo-Nenets Autonomous District under the Government Contract No. 01-15/4 dated 25.07.2012, by the Ministry of Education and Science of the Russian Federation under the Project No. 2014/181-2220. The authors express their deep gratitude to Dr. S. Malov (Leading researcher, Theodosius Dobzhansky Center for Genome Bioinformatics, St. Petersburg State University, Russia) for consultations and mathematical processing of the research data.